At the end of the 2nd world war Berlin had been separated from the rest Germany was separated to be subordinated to an administration of the four allied. 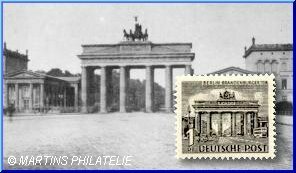 After the currency reform in 1948 which divided the city into an east and west sector, Berlin issued own postage stamps up to reunification in 1990. 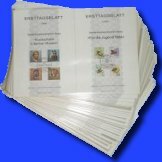 We have all these Berlin issues in stock, in unmounted mint and in used quality; discount for complete year sets.